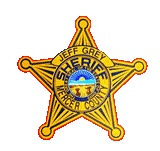 CELINA – Mercer County Sheriff Jeff Grey released a few details about a suspected drug overdose inside the Mercer County Adult Detention Facility on Wednesday. At approximately 3:29 p.m. Wednesday, March 20, inmates alerted corrections staff of a male inmate who was not responding and not breathing. Corrections officers immediately responded to the dorm where an inmate had started CPR. The on duty corrections nurse responded and rendered aid while Central Dispatch alerted the Celina EMS personnel. When EMS personnel arrived, they took over treatment of the inmate. EMS administered NARCAN to the inmate. The inmate was transported by EMS to Mercer Health, a deputy sheriff followed for security. The inmate, a male, is being held in the facility on several felony offenses of violence. His name is being withheld at this time due to medical privacy laws and no additional charges have yet been filed. The Sheriff’s Office K-9 units were called in to search the dorm. A search warrant for blood and urine of the inmate was applied for. Grey expressed frustration at inmates resourcefulness in getting contraband into the jail. The jail has a body scanner that has detected drugs hidden inside body cavities, but inmates still are successful from time to time smuggling drugs in. Detectives are investigating to attempt to determine how the drugs got into the facility.